"Who would win in a fight: PLANTS or ZOMBIES?" It's the age-old question that only K'NEX can answer! We love the previous Plants Vs. Zombies K'NEX building sets. They are fun and creative. This Fall, you can enjoy their NEWEST Plants Vs. Zombies building sets. And K'NEX has taken the Plants Vs. Zombies experience to a new level with mechanics! Defeat the zombies and save your brains...with motorized the ConeMech Building Set from the Far Future level! This set includes 1 zombie figure plus a buildable ConeMech that walks with motorized action, just like in the game! Battery-powered motor included plus easy to follow building instructions. For ages 7+. Batteries not included. Available at amazon.com, toysrus.com and knex.com. Defeat the zombies, save your brains...with the Football Mech Building Set from the Far Future level! This set includes 1 zombie figure plus a buildable Football Mech that walks with motorized action, just like in the game! Battery-powered motor included plus easy to follow building instructions. For ages 7+. Batteries not included. Available at amazon.com, toysrus.com and knex.com. *I'm a BRAND AMBASSADOR FOR K'NEX. Nothing is better than enjoying and exploring Made in the USA products and sharing them with you! All opinions are my own. Summer is almost here - and I am loving it! One of the things I love about summer is more time for fun adventures. Fun adventures means traveling! Traveling can be a lot of fun but also daunting with kids. I recently shared a post about the must-have travel products when traveling with kids. And these are important items to pick up before your next road trip! But of all the essential things, kids need travel-friendly toys. Have you ever tried to play a board game or draw in the car? Let's just say it can become a total mess and leave kids (and parents!) in tears! I am excited that one of my favorite toy companies, Alex Toys, will be showcasing their travel-friendly toys at Sweet Suite this year! Attendees will get a chance to see the toys in person and get a feel for why they the best travel toys around! 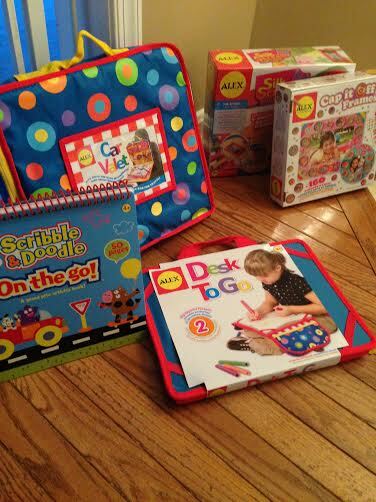 On-the-Go Scribble & Doodle is a creative way to teach colors and simple words! This 10×10″ hard cover spiral book contains 50 pre-printed pages and 2 pages of stickers related to travel. Take it with you on the next road trip to keep your little one busy. On the go and need a sturdy surface to draw and color? Desk to Go is the perfect solution! It has a firm desk top for writing, coloring, and drawing. 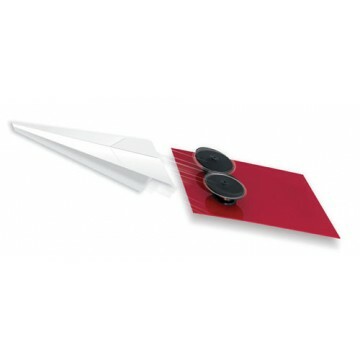 Side pockets hold art supplies, and then fold and fasten making it easy to carry. The beanbag-filled underside makes it comfortable for children to rest on their laps. Elastic straps keeps paper & pads in place. Best with a 9″x12″ pad but can also accommodate 8 1/2″ x 11″ paper. Supplies shown sold separately. Use it wherever your child needs a desk to keep busy. A great toy when traveling – bring it on your next road trip or plane ride. Turn ‘Are we there yet?’ into ‘Awww…so soon?’ The Car Valet is a art space and activity area for kids on the go! Play games, create art, or just keep gear within easy reach with a portable, adjustable, play center and organizer. Lots of pockets to store art supplies and paper. Attaches securely to the rear of the front seat and folds down for easy access to supplies. Fold and zip up when finished. The perfect bag for car travel. These items (and more!) will be at Sweet Suite! If you are taking a trip this summer, head over to the Alex Toys website to order yourself these travel-friendly products. You can also connect with them on Facebookand Twitter. As an entrepenuer, I am always excited to find ways to encourage and empower girls. Giving girls the opportunity to realize they are valuable, capable and able to reach their dreams is one of the greatest things we can do for our future generation of women. Which is why I am a huge fan and supporter of GoldieBlox. The goal of GoldieBlox is to"get girls building." They are working to help "level the playing field." By incorporating a story with a construction set, GoldieBlox taps into girls' strong verbal skills, enabling them to build and create great things. A future generation of female engineers starts with something as simple as playing with blocks. Excited? Intrigued? Get to Blogger Bash to see GoldieBlox live and in person! Do you have a child who loves to build and create on your shopping list? Then I have just the gift for you! Light Up Links! Light Up Links are the latest building and construction toy to hit the shelves. How do they work? You simply build with the links and then they glow. It's that easy! There are so many things that you can create with Light Up Links. The possibilites are endless! Another great thing about Light Up Links? No batteries required! Total win in my book. Lightup Pods—these spheres have 5 spokes that point in all directions. Equipped with LED lights that flash red, white, and blue, these pods also float in water! Just give them a shake to activate. Flex Links—these flexible connectors twist and bend and connect to Lightup Pod spokes and Glow Stix. Glow Stix—Strong and durable, these sticks come in three different lengths. Wheels—make your Light Up Links go mobile with these fast spinning wheels that even come equipped with rotating axels! LIght Up Links are available on LightUpLinks.com for only $19.99 (plus processing and handling). Light Up Links make great stocking stuffers and there is still time to grab some for yourself! You can get a special deal over at Light Up Links World with free shipping when you use the code LUL at checkout. This past weekend was our big charity event with Kisses for Kyle! Not only did we give away a TON of toys to local children but we also provided them with some fun crafts to do with their parents. Paper Punk was so generous to send us a bunch of kits for the kids! They definitely enjoyed making paper snowmen and women along with some other fun characters. Paper Punk is an innovative paper-based building toy that provides endless imaginative and creative play for humans of all ages. With a few simple folds, colorful 2D flat shapes transform into bold 3D geometric pieces to create spectacular looking paper toys and art forms. It was founded with a simple ambition – to enable people to exercise their creativity and make things with their hands. Check our more of our 2013 favorites in the Real Mom Media Holiday Gift Guide! Recent Toys specializes in producing innovative, mentally stimulating, cutting-edge brainteasers. We strive to ensure that all of our puzzles are simple to understand, yet thought-provoking in their solutions, and open to a broad age range so that children and adults of all ages can play. While all of our puzzles are characterized by high-quality, edgy designs, and clever game play, each puzzle is unique in concept and offers an entirely new challenge. Gear Shift is deceptively difficult. The rotation of the eight interlocking gears is a seemingly simple operation. However, once you discover that the core can be pulled apart, the difficulty skyrockets; as this function changes the shape of the puzzle by allowing each gear to move independently. The QJ Pyraminx Cube is like a puzzle in the shape of a pyramid (tetrahedron). This fully functional cube has a total of 36 face pieces which turn around the 4 axis, the Pyramix cube is a fun magic puzzle pyramid! Skewb combines the classic game play of a twisty puzzle with 12 colors, 12 faces and an irregular shape to create a unique puzzling challenge. Each turn creates a new color combination which will either bring you closer to a solution or scramble the puzzle up even more. Uncommon Goods carry some interesting and out of the box gift ideas! We have two favorites this season that are great for imaginative play! Pallina is a fun, suspenseful and strategic game that's fun for the whole family! Each player chooses a color. The object of the game is to remove your color sticks from the basket without letting any of your color balls fall. The winner of the game is the player who has the most balls in the basket by the end. Made of sustainable bamboo in China. Includes 1 basket, 20 bamboo sticks, 16 wooden balls, 1 purple felt mat, and 1 reusable storage box. The only time it's ok to draw on your brother's face is if you're making him smile. Encourage creativity and family unity with an imaginative kit that lets kids create their own wooden family from seven dolls, 3 pieces of fabric, 3 pieces of felt, craft glue, yarn in 4 colors, and 12 colored pencils. Instructions included. Made in New Zealand. If your little one loves to take pictures, you want to check out the LeapFrog Camera! Create, learn and stretch your imagination with photos! Designed for little ones with simplicity in mind, the LeapFrog Creativity Camera Protective Case & App combine the camera power of your iPhone or iPod touch with creativity-focused fun! Your budding photographer can use 6 different modes to edit photos to make silly pictures, go on photo missions to create special albums and even play an exciting augmented reality game. This breakthrough app toy turns your device into the ultimate creativity camera. Works with iPhone 4/4s/5 and iPod touch 4th & 5th generation (sold separately). Does not work with LeapPad or Leapster Explorer systems. Appropriate for children ages 3 to 6 years. Now that the weather is colder and we find ourselves stuck indoors more days than not, I am always looking for fun activities for my son and I to do!My son is longing for a good snow day so he can build a snowman. Unfortunately, we haven't gotten that much snow yet so he had to settle for the next best thing. 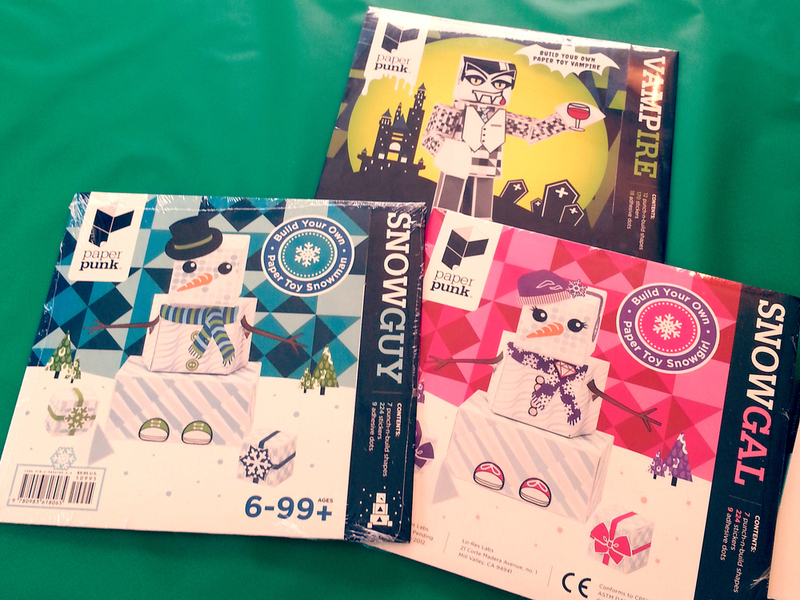 I broke out our Paper Punk kit and we built a paper snowman! He had a blast dressing his snow man up. After we were done assembling it, he continued to play with his snowman and it kept him busy for a while! 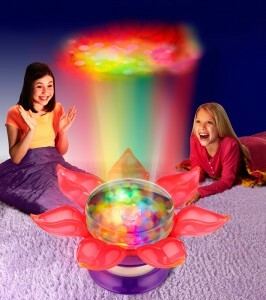 Create a one-of-a-kind night light with translucent petals, swirling Orbeez and color-changing LEDs. Turn out the room lights and watch the Orbeez project a stunning, moving light show on the ceiling. Batteries not included. Submerge them in water, and the colorful pellets included with the Orbeez Flower Power Light Show grow to up to 100 times their original size in just a few hours. Safe for kids five and older, these squishy, multicolored orbs create a kaleidoscopic light display on the ceiling of a darkened room when poured into the included Flower Power Light Show. Swirl the Orbeez around, and the Light Show's LED lights shine through them to create shifting patterns on the ceiling. Safe and non-toxic, Orbeez can be disposed of in the trash or yard once play is complete. A glow-in-the-dark plush from Inkoos is sure to add excitement to playtime. Your child's creativity will shine as they decorate their Inkoos with even more colors, using the lime green, fuchsia and orange markers. After arts-and-crafts time, your child will love snuggling up with this little dog and watching the creations glow. GloGlo Inkoos bring your designs to life - even in the dark! Like all inkoos, you can draw and decorate on them with the included washable markers. But when the lights go out, their cool glow-in-the-dark patterns are revealed! Then you can draw even more glowing designs with the special light pen! Check out the video to see how it works. Each GloGlo inkoos includes 3 clip-on, washable markers plus the GloGlo light pen. Choose from 3 styles. Machine washable. How cool is this?! The electric paper airplane launcher is something that everyone will enjoy! Launch your paper airplane materpieces with this DIY science kit. The kit comes with spinning motors and plastic disks that you assemble to create your launcher. Learn how to construct and tweak your launcer through trial and error to send your plane off at speeds of up to 31 mph. I always love those fun stuffed animals that can be autographed at like birthday parties-events-or even weddings! But I often thought...hmmm... if only you could let your kids color on them - then wash - then color again! BlankZ now has that covered! There are so many adorable little pets that your kids (and YOU even) can color then wash...then color again! I decked out a cute little hound dog. They have seals, bears, rabbits, elephants and more..all with cute little names. Another reason I love these cute toys is because the are not made by some MEGA-TOY-GIANT. It's a small company that takes lots of pride in their BlankZs. They actually reached out to me through twitter. A great place to connect with toy brands!!! *Prices for these cuties are about $15. One of my favorite toy brands is Learning Resources. Their toys are always of high quality and awesome color! Not to mention, the learning kids can and do get from them. 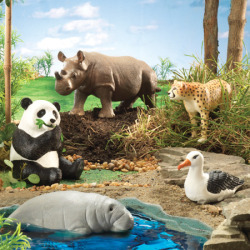 This year, they have an entire 2012 list of new products and we received the Jumbo Endangered Animals. One of the things in my house that we're struggling with is bathtime toys. The ones we have are old and you know what years in a bathtub can do to a product! lol. So these little guys are now living in there with Batman. And a few other strange objects. The product is about $30 and great for kids ages 2-8. Another "Mess Free" product from Crayola! With 5 markers and 18 designs, your child is going to reveal magic and adventure on every page. 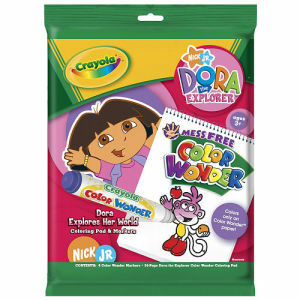 Don't worry about the Color Wonder ink, its clear and wont color skin, walls or fabric. Go to Toys R Us to purchase for $8.99. I dont even have to say anything! These Inkoos are creative, quirky, imaginitive, and not to mention...washable! Girls can practice their make-up artist skills, and boys can create a pirate or their favorite sports player. Leave it up to their imagination - "If you can think it, you can ink it!" And when your little ones are all finished, throw it in with the days laundry so they can start all over again! 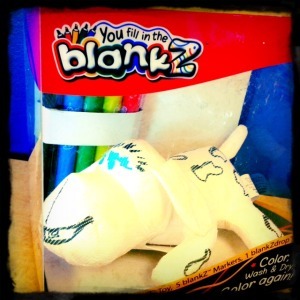 For little artists, Inkoos combine a fun activity and an adorable plush in one! By using the Inkoos’ amazing washable markers, creative kids can draw, design and decorate these cute and quirky characters…then give them a spin in the washing machine, and design them all over again. Available in a variety of colors and styles, each Inkoos includes 3 clip-on washable markers and the Inkspiration Wheel for tons of design ideas. Also in the line are Mini Inkoos (SRP $7.99), which make great companions for little doodlebugs during holiday travels. Fun to play with, but not to eat! Kids love PLAY-DOH; it's a fact of life! This set is a fantastic activity to have in any home. Remember, seal those lids tight or else somebodys going to have some hard pizza toppings for later. "Cook" up some fun with this PLAY-DOH pizza parlor! Create the perfect pizza crust in the "brick oven," crank out realistic looking grated "cheese," and then cut out pretend pepperoni, mushrooms and peppers. Then use the handy tools to cut and serve to friends and start all over again! The set includes one 5-oz can and three 2-oz cans of PLAY-DOH compound. Ages 3+ for the retail price of about $16.99. Woohoo! Now this looks like fun and mess free! It keeps kids busy as well, I know we all enjoy that. 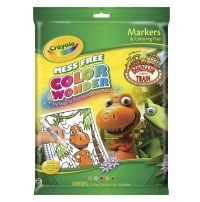 With Crayola Mess Free Color Wonder, the inks are clear, and colors magically appear only when the markers meet the special Color Wonder paper. Kids are free to unleash their imaginations and love the way each marker magically reveals a different color on the special paper. Moms and Dads love the fact that Color Wonder inks will not appear on skin, walls or carpet. So there's absolutely no cleanup!! Age: 3+. SRP: $7.99. You can purchase this product from your local Walmart, Target, Toys “R” Us, Kmart, Kohl's, or Meijer. I can just picture every girl wanting to dress up, have a play-date with friends and bake up some fun with this toy set. Part of the Disney Princess: Magic Rise Collection, this puts an added twist to the old Easy Bake Oven. With a wave of a special magic wand, the cake rises! Essentially, play baking, without the mess. The box includes all of the important ingredients: 16 accesories, light up topper, interchangable play frosting, and 2 display areas. Not to mention, magical sounds. Isn't that why we just love Disney? For ages 3+ and retails for about $25. Amazon's got it as well as other participating retailers. More food, more colors, more fun! Learning Resources Super Sorting Pie is now famous for winning "The Learning Magazine’s 2012 Teacher’s Choice for the Classroom award”; “Dr. Toy, Best Vacation Product” and the “Oppenheim Toy Portfolio Gold & SNAP Awards,” this product is hot out of the oven! Use this wonderful set in your playroom, homeschool room, or even the classroom. It teaches early numbering skills, sorting skills by colors and/or fruit shapes. Visual clues that slip under the bottom of the pan assist your child. It is easy to keep things organized and easily packed away with a pie crust top that conveniently becomes a bowl to also hold counters. Included is 60 counters (five different colors of apples, bananas, grapes, oranges, grapefruits, apricots and plums), durable plastic pie, removable divider, 3 double-sided sorting cards, 2 jumbo tweezers and Activity Guide. Priced around $27.99. Get it at Learningresources.com or any other available retailer. Thinking about this is making my mouth water, where's the apple pie?